The Game I Booted Girls for Crashing Not 'Cause They're Dark-Skinned! The Game booted a bunch of chicks -- who are black -- from his Super Bowl party, but insists he wasn't racially profiling ... they just weren't on the guest list. 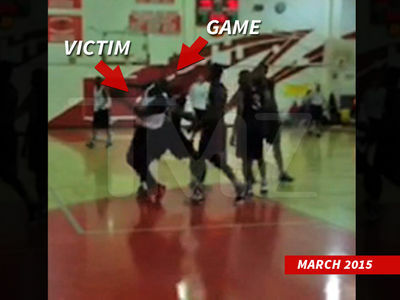 Game told us his side of the story that's getting around the Internet, and has some people labeling him a racist. One of the women posted a video saying she was 86'd for being "dark meat." That's total BS according to Game -- he explained what happened when he started asking if anyone in the party knew the ladies. He says considering he gave 'em a fresh pair of socks, plus pizza and drinks ... they've got no business trying to twist this into racism.